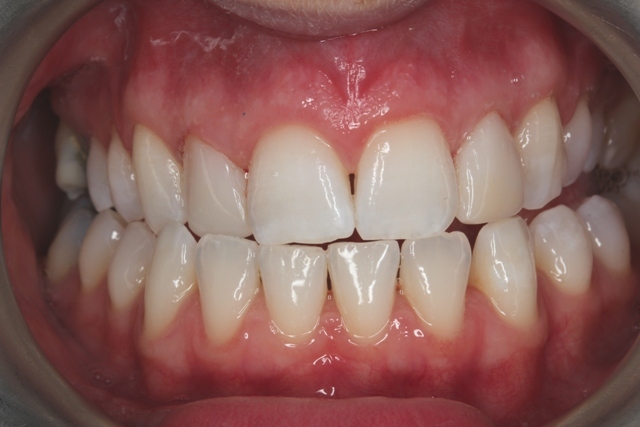 Composite veneers gallery 6 showing a selection of before & after photos of composite veneers cases carried out at Pearl dental clinic in London since 2008. 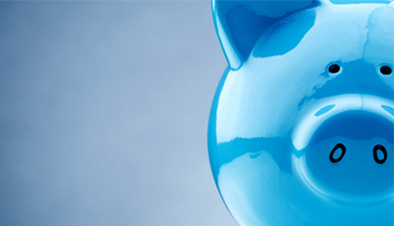 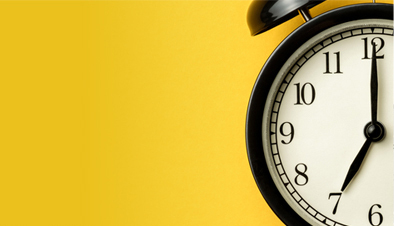 Pearl Dental Clinic is open 7 days a week from 9am-10pm. 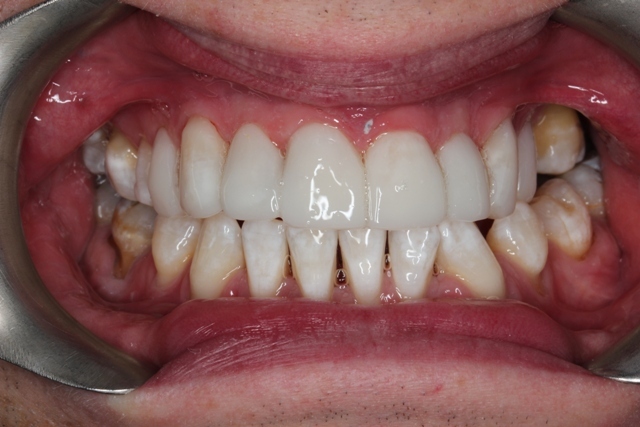 You can book a FREE Veneers consultation by calling us on 0208 547 9997 or emailing us or by booking an appointment online (24 hours). 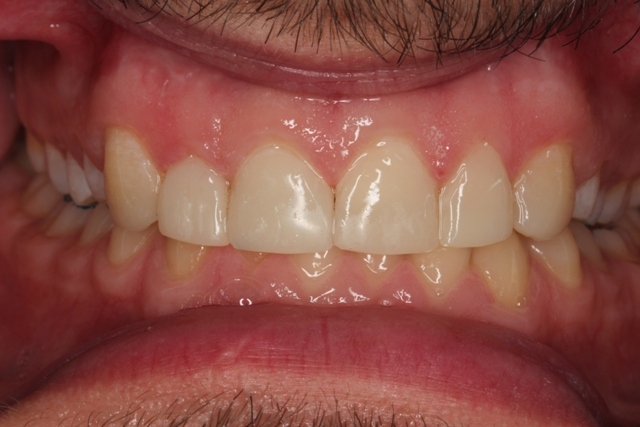 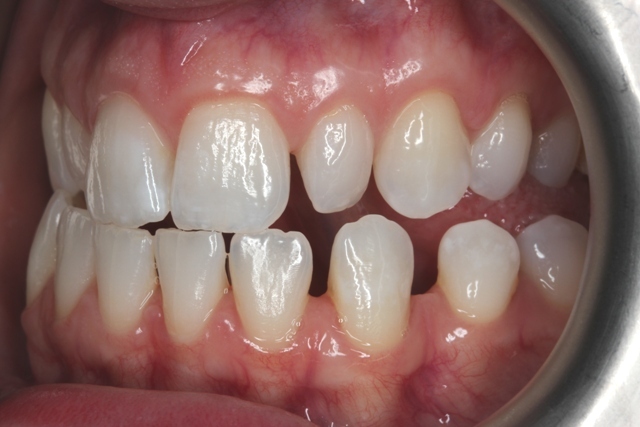 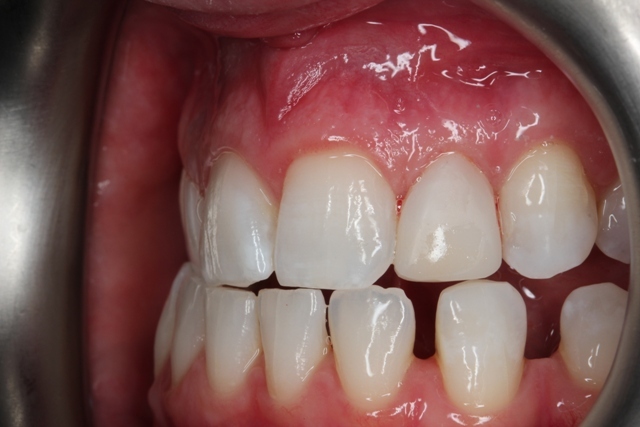 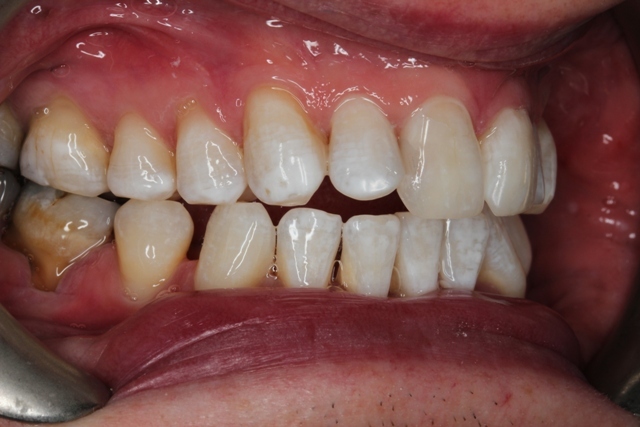 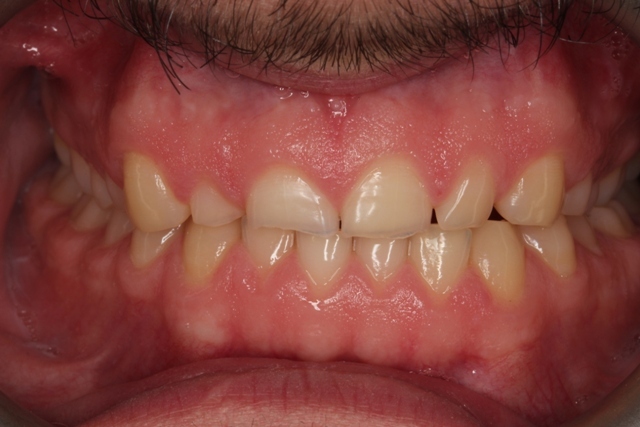 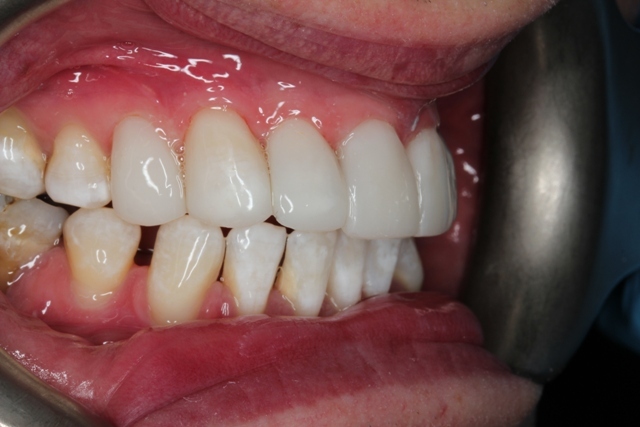 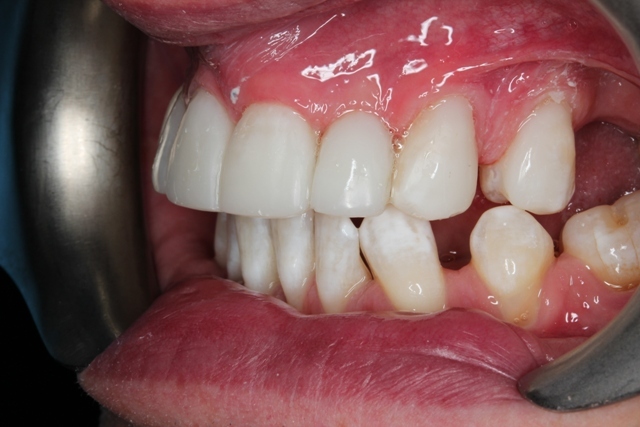 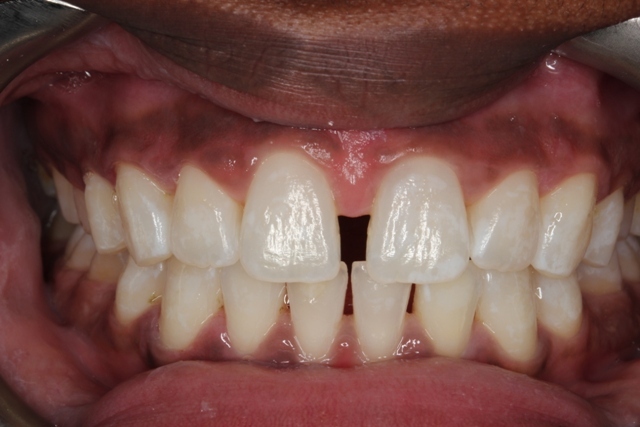 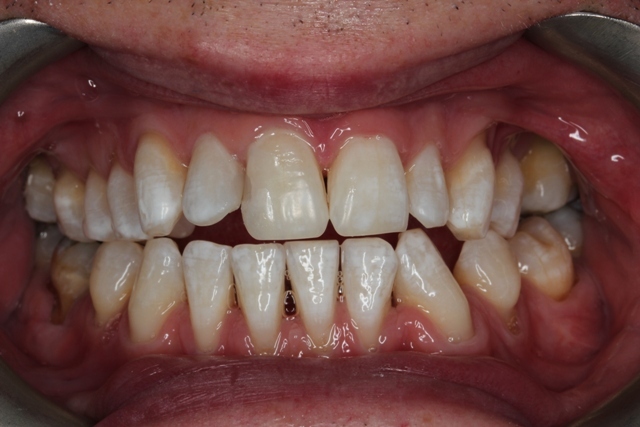 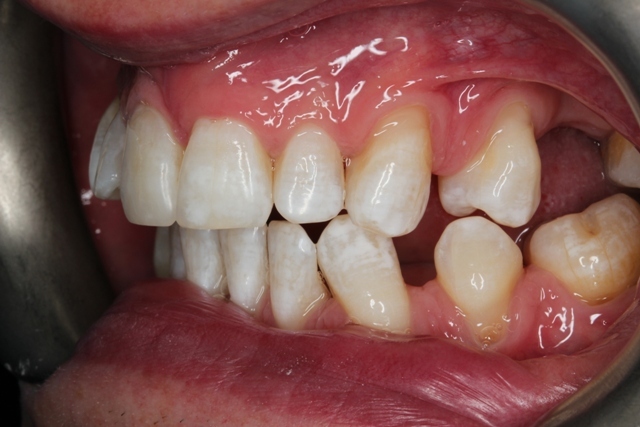 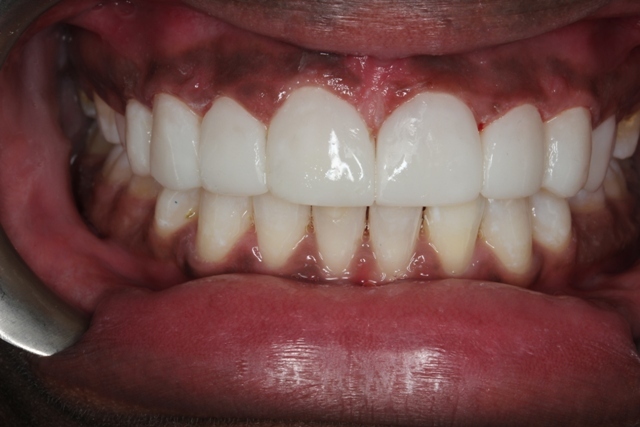 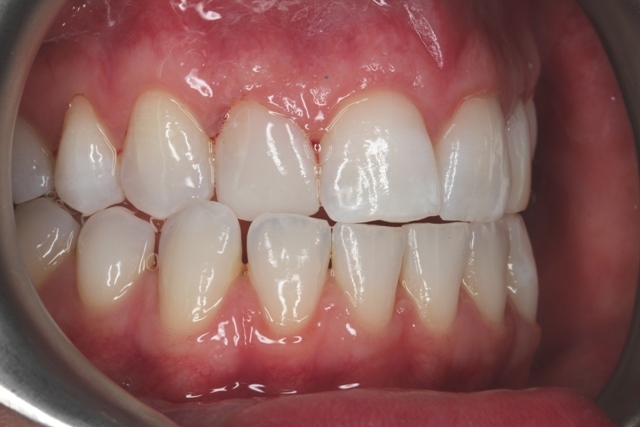 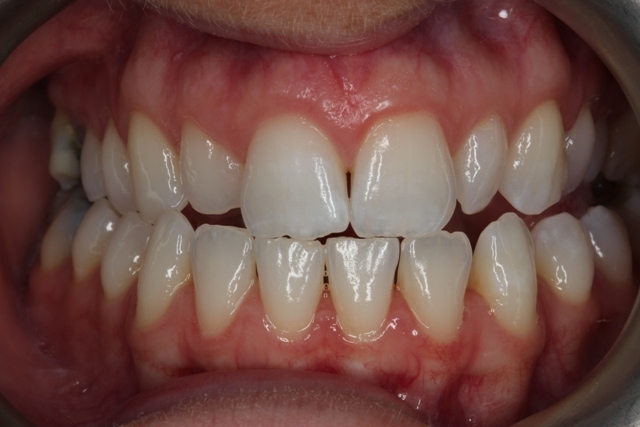 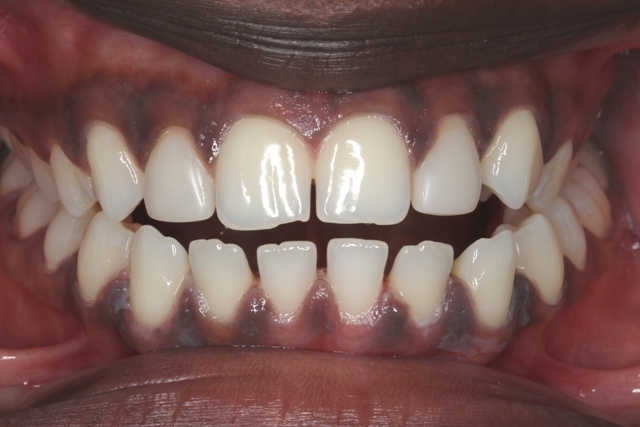 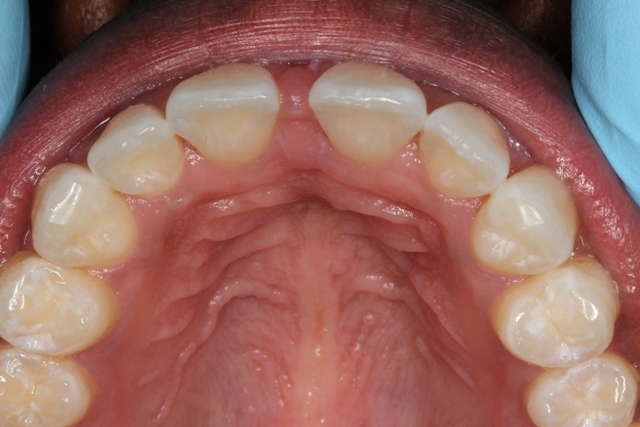 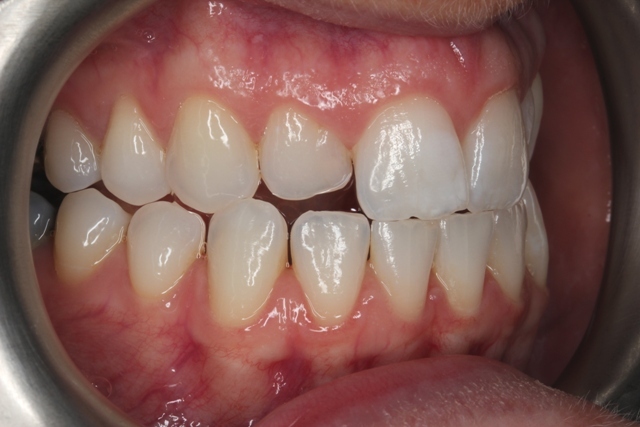 Direct Composite veneers were done for the patient below to close the gap of from teeth. 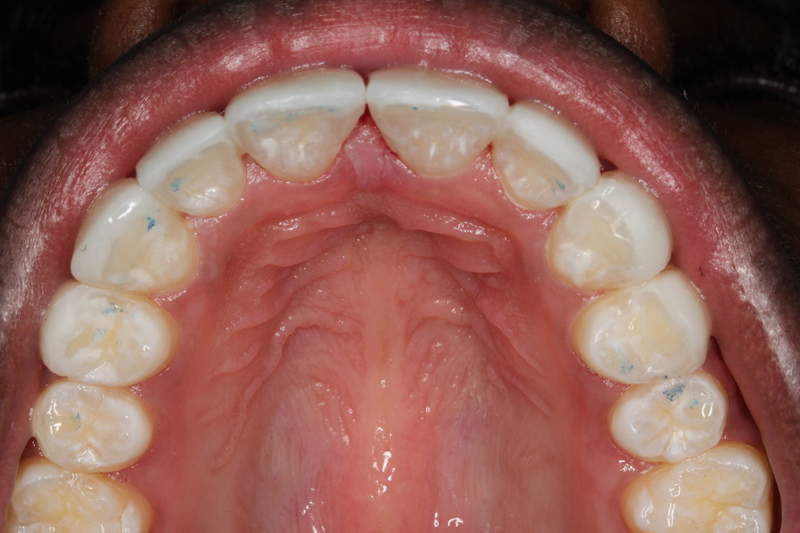 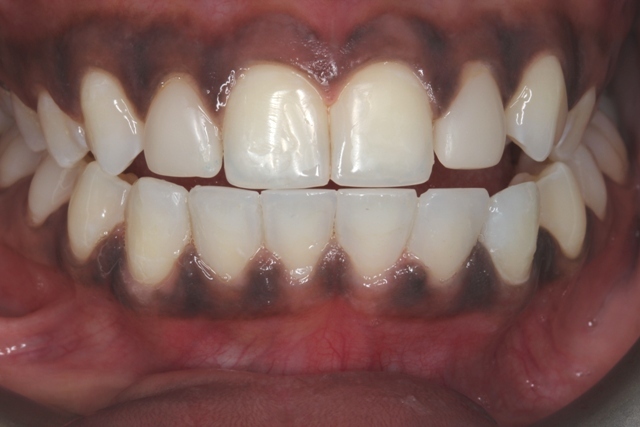 Patient below has had 8 composite veneers after doing some teeth whitening treatment.